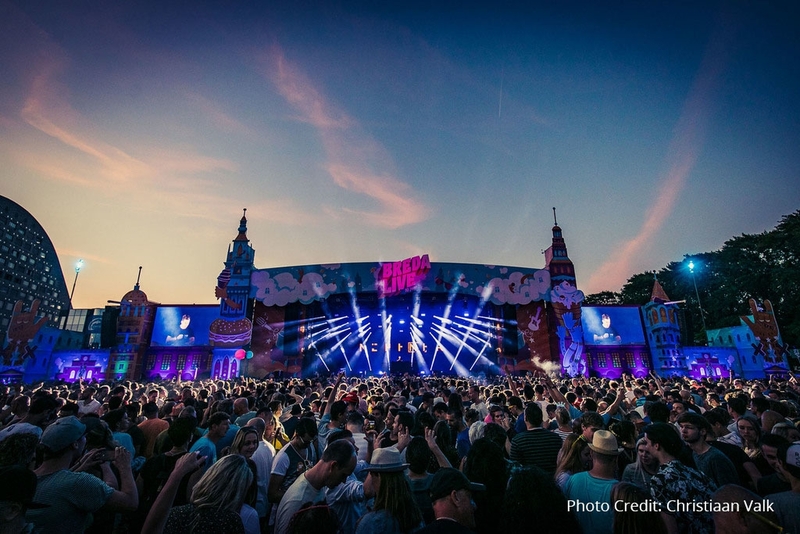 Bert Kelchtermans led the lighting element of the Unlimited Productions team consisting of Bart Roelen as main technical producer and Gijs Mulder as the B-stage producer. 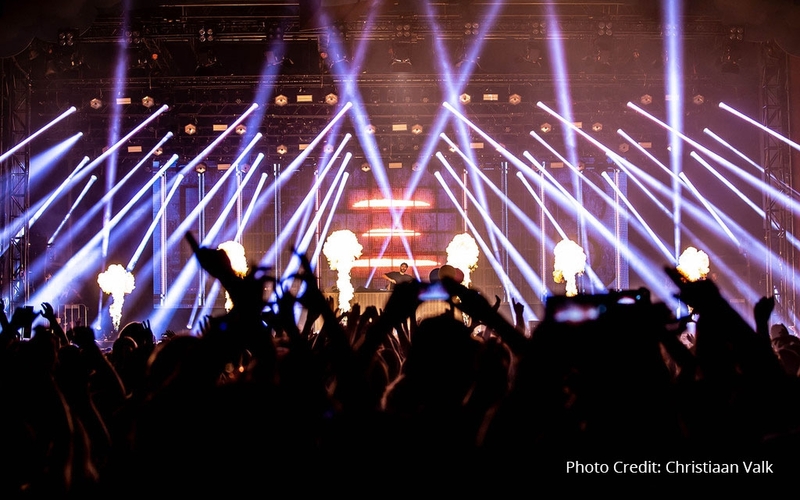 They looked at the diverse line-up and the fact that most of the acts over the two-day event would be playing in daylight, and took these facts as two main parameters for the design, for which they specified over 100 Robe moving lights - 40x MegaPointes, 56x LEDBeam 150s and eight BMFL WashBeams. Unlimited Productions has actually been involved in the festival since the first year, and the organisers trust them implicitly to produce great lighting and visual designs each year which will work for all the performers in daylight and darkness. Another criteria is having a nice ready-to-operate rig for the many guest LD’s and operators who rock-up with their artists. 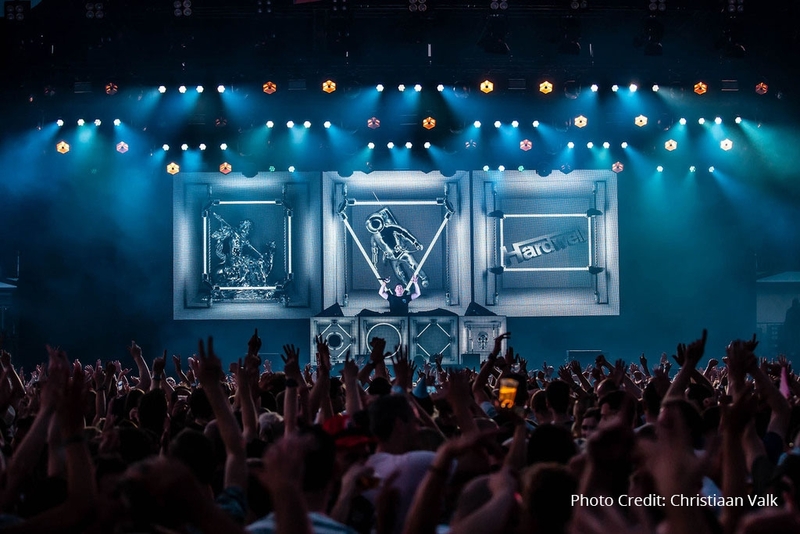 The main stage roof – supplied by Gigant – is relatively low so there are less opportunities for creative rigging, and instead, Bert tries to incorporate new and different fixtures each year. He’s particularly interested in smaller fixtures which fit the space well, and this year he was delighted to be able to use two of Robe’s newest luminaires - MegaPointes and LEDBeam 150s. 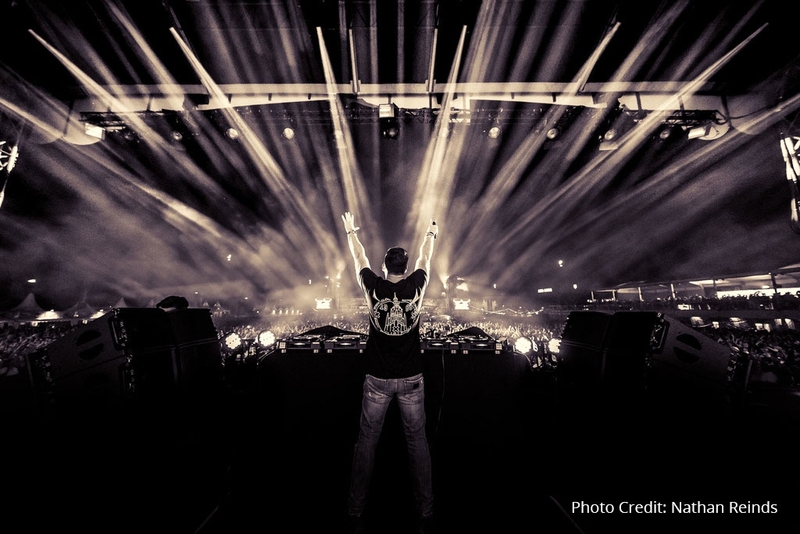 “I also try to use the newest fixtures to keep visiting LD’s and artists happy” admitted Bert, “they all like the chance to use new tech, and in the past we have had Robe Spiiders, BMFLs, LEDBeam 1000s and others to ensure everything stays fresh and current”. The roof contained three LX trusses, and each one was rigged with 10 x MegaPointes. Alternating between each of these fixtures was a group of four LEDBeam150s. Arranged like this, they could create dynamic ACL-style effects as well as to fill the entire stage with nice colour spreads. The remaining 10 x MegaPointes were located on the floor and used for powerful back lighting and aerial effects. The eight BMFL WashBeams were rigged on the delay towers out in the arena, where they could illuminate and colour the elaborate décor panels around the stage and also swoop around the audience and envelop them in the action. Bert choose MegaPointe because it is “an incredibly versatile high output light that’s equally good in spot, beam and wash mode. It is a luminaire that absolutely has it all including being small and lightweight which was a great bonus working within this structure”. The LEDBeam 150 he loves for being a “great little light”. He likes the output and zoom for its size, and they could clearly be seen, even in daylight, for which they were excellent eye candy and ideal for filling in between some of the darker areas lurking at the back of the stage! The BMFL WashBeam has been an Unlimited Productions favourite at the festival since the light was launched in 2015. “The massive output and zoom make it perfect to highlight the stage deco panels, and the shutters ensure there’s no spillage onto the stage itself, so artists don’t get distracted”. In general, artists and LD’s love playing Breda Live as the ongoing investment into high production values mean that they always get a large rig to play with, usually with some of the latest technologies … and that equals a lot of smiles!!! Bert also observes that Robe is an extremely popular brand generally at the moment with many designers, so it’s a bit of a win-win scenario! He believes Robe is doing well due to having a wide range of fixtures for “almost all applications”. From those ideal for smaller, neat-and-tidy corporate events to huge lights with incredible output for the biggest shows and spaces. “Special effects lights like the Spikie also give Robe an edge, and with Robe, designers have all the tools they need to creatively run wild” he concludes. 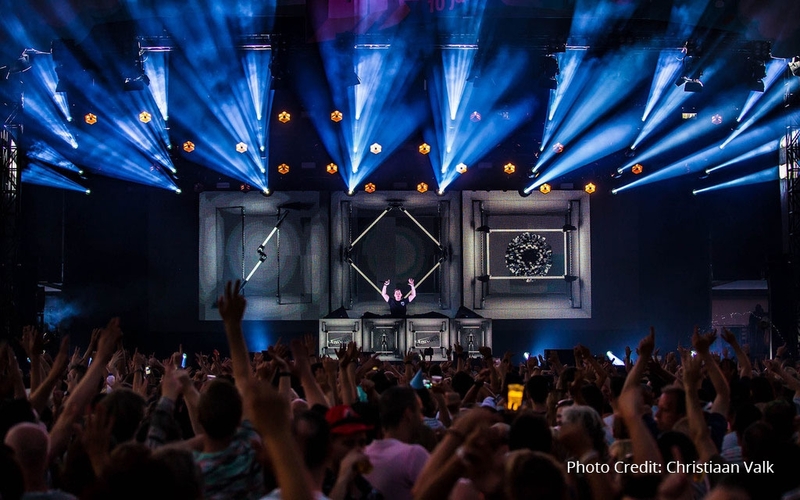 To keep the video setup easy at Breda Live, most bands utilised the ‘house’ IMAG camera mix on offer, with the images beamed onto a solid upstage back wall and two side screens that were also part of the stage décor design. The final act each day was a DJ so they appreciated the large canvas on which to play-out their own visual content. Lighting was run from a grandMA2 control platform operated and programmed by Benny La Maitre, and produced by Unlimited Productions BV. All lighting equipment was supplied by Rent-All and installed by Apexx.